Absolute Powerpop: 2012 off to a great start. 2012 off to a great start. 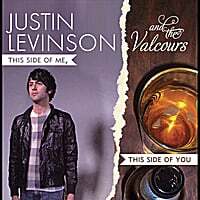 Justin Levinson & The Valcours-This Side of Me, This Side of You. Boston-area piano popper Justin Levinson has been around about as long as this site, going to back to his impressive 2006 debut 1175 Boylston. Back then, he sounded like he wanted to be Ben Folds but with each subsequent release he veered into Ryan Adams territory, with mixed results. Now he's back with a backing band and seems to have found a happy medium with his strongest release since the debut. The breezy piano-and-guitar number "Water Wears the Rock" opens the proceedings in fine fashion, while "You Become a Ghost" is a Folds-type number that would have fit right in on 1175 Boylston. But the real strengths here are Levinson's forays into 70s singer-songwriter pop, including "Let You Go" (which features Will Dailey, a fine artist in his own right) and especially "Say What You're Gonna Say", a soulful number with horns that's easy like Sunday morning and my new favorite song of 2012. It's good to see Levinson back on track. Pete Donnelly-When You Come Home. If the name seems familiar, it's because Donnelly is the bassist for The Figgs, Graham Parker's occasional backing band and respected pub-rockers in their own right. In 2009 we saw frontman Mike Gent offer up a fine solo disc, and now it's Donnelly's turn to shine with his first solo release in 11 years. 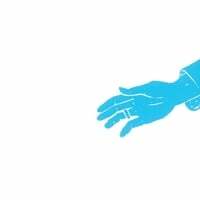 While there are some Figgs-sounding tracks here, Donnelly has blazed a more eclectic path here, from the gentle and melodic "Far Away Angel" to the Beatlesque piano pop of "Original Wonder" to the vaguely loungy-feel of "Can't Talk at All". Meanwhile, Figgs fans will appreciate rockers like "22nd St", "The Only One" and the title track. All in all, it's a fine solo foray from a guy who sounds like he had a lot of musical ideas just waiting to be implemented. Here's a link to the Official Video for Pete Donnelly's "Can't Talk All". David Bash's Top 100 of 2011.